Win $5000 in Free Groceries for a Year. 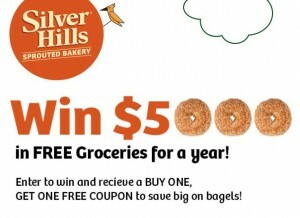 Enter for your chance to win $5000 in Free Groceries for a Year from Silver Hills Bakery. Just Click HERE to enter. 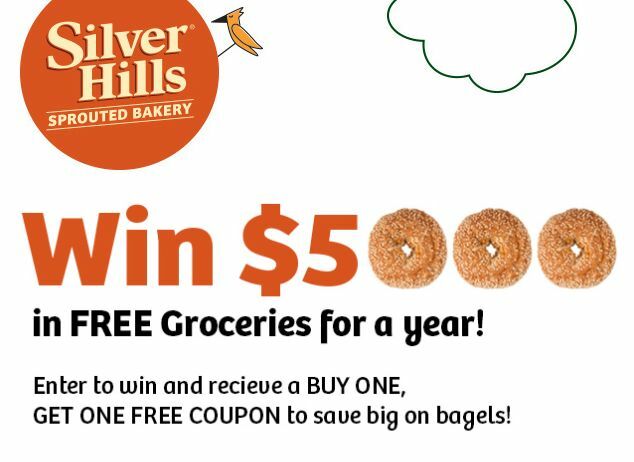 In addition, you will also receive a Buy One, Get One Free Coupon for their bagels after you enter. What a Sweet Deal! Contest ends April 30, 2013. Limit one entry per person. Contest is open to all legal residents of Canada. Must be 18 years of age and have reached the age of majority in their respective jurisdictions or territories. Void in the Province of Quebec and where prohibited. 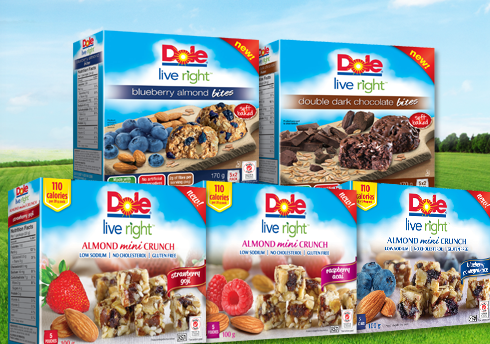 You could win $10,000 from Dole Live Right plus $500 in Live Right Products! Just follow the link and click on the blue “Enter Now” button then fill in your information on the form. 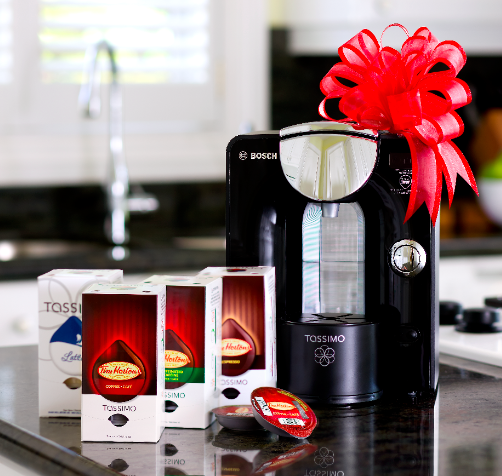 Contest closes April 7, 2013 at 11:59 pm. Eastern Time. No purchase necessary. This contest is open to residents of Canada (excluding Quebec) who are over the age of majority in the province/territory they reside in. Odds of winning depend on the number of eligible entries received. Must correctly answer a mathematical skill-testing question in order to win. 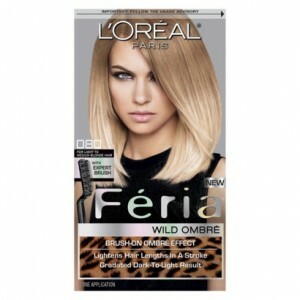 L’Oreal Paris Canada is offering 1,200 Coupons for a Free box of the new Feria Wild Ombre Hair Colour in their Instant Win Giveaway Contest! To enter to win all you have to do is click “like” on their Facebook page and fill in the form with your information. You can enter daily until April 7, 2013. Enter now for your chance to try the hottest hairstyle trend this season. Enter this contest now and Win $4,800 worth in Outfits from fashion label Zadig & Voltaire. There are a limited number of entries so hurry up and sign up for this contest now! This is a very high end fashion designer label so don’t miss out on your chance to win some of their outfits. 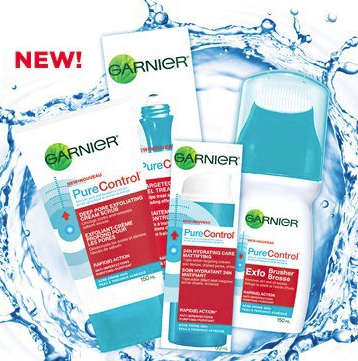 Enter for your chance to win 1 of 600 Full-sized Garnier Pure Control skin care products. Each week they will draw 100 winners until March 24th, 2013. After going to the offer page, click on the “Try It Now” button along the left hand sidebar. Complete the form there to enter. Good luck!